travelled to 7 countries to give workshops and keynotes. I've been lucky to have closely collaborated with some of the most inspiring educators from all over the world. and started a new Erasmus+ project. But besides these nice things, 2017 has also been a year of many rejected applications, failed and unfinished projects and far too many disappointments. That's life, I guess. Or a sign for a career change maybe. 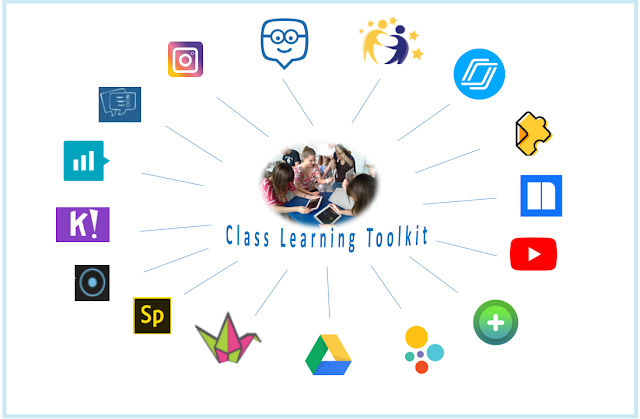 Edmodo, a learning management system - the teacher shares content with students, assigns tasks, grades assignments, or connects students with peers and involves them in international projects. Edmodo is synchronized with many educational apps so students can use a variety of tools and apps through Edmodo. 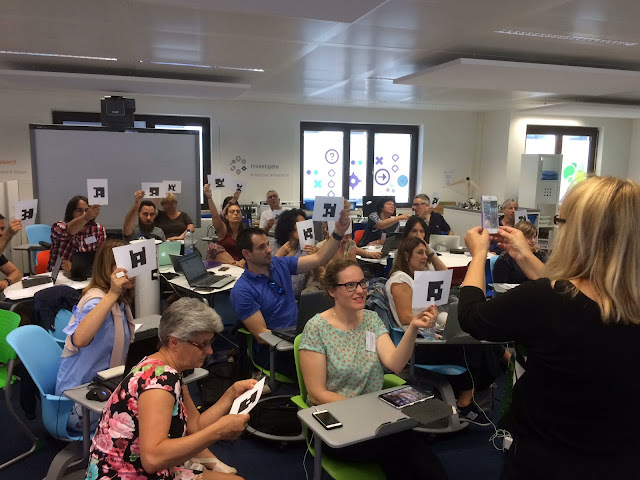 eTwinning, the European community for schools – the teacher connects with colleagues from all over Europe to carry out international projects integrated in their curricula. The teacher can also use eTwinning for professional development as numerous lifelong learning opportunities are provided for teachers on the platform. Students use it to collaborate with peers and to create new content. 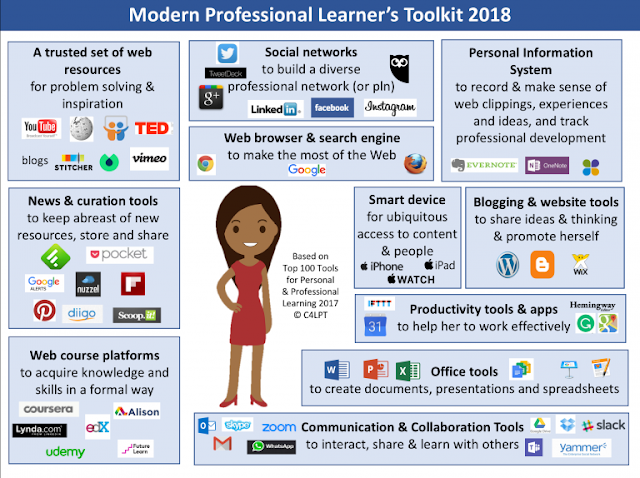 Jane Hart recently shared her Modern Professional Learner's Toolkit, based on the Top 100 Tools for Personal & Professional Learning 2017. FAVORITE SEARCH ENGINE:Google search - despite its algorithms, it's still my number one, using search operators helps a lot. TRUSTED WEB RESOURCES: BBC for European News, New York Timesand Washington Postfor world news and Google Scholar for scholarly literature. NEWS & CURATION TOOLS: Feedly is my favorite RSS and I try to check it on a daily basis, but it can happen that days go by and I don't have time to look at my feed. Pinterest is still my number one curation tool, despite its being closed to those who don't own an account with it.